MR-4/Liberty Bell 7 launched 50 years ago this month, carrying Mercury 7 astronaut Virgil I. “Gus” Grissom. Image via Spacelog. Spacelog, the cool-as-heck Web site which features transcriptions of groundbreaking manned spaceflights in a linkable, searchable format, is back for more spacey goodness with its transcription of the MR-4/Liberty Bell 7 flight which took place on July 21, 1961. 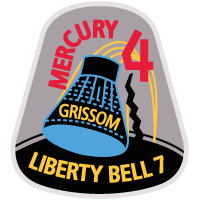 Liberty Bell 7 was the United States’ second manned suborbital flight; astronaut Gus Grissom ascended 118 miles into space in a ballistic arc and splashed down minutes later. This mission was unfortunately remembered for Liberty Bell 7’s hatch blowing prematurely, which caused Grissom to nearly drown. However, the mission’s transcripts tell the story of a very successful flight which more than showcased Grissom’s coolness and engineering savvy. I had the honor of transcribing this mission, and I really enjoyed the work. Also, the world could stand to experience some more Gus-ness. I recently discovered a trove of space stuff from my childhood and found the book which was my gateway drug into manned spaceflight: Space Shuttle by Robin Kerrod. I must have gotten this book when I was 6 or 7 years old. It was published in 1984, when the space shuttle was brand new and in its heyday of being the world’s first reusable space transportation system. Space Shuttle was geared to children most likely, being very picture-heavy, but the book was a good primer about the space shuttle program for its time. This book is a bittersweet reminder of the U.S. space program prior to the International Space Station (the book only covers up to Spacelab, given its publication date). The fact that the shuttle Challenger is on the cover stirs up quite a bit of emotion. 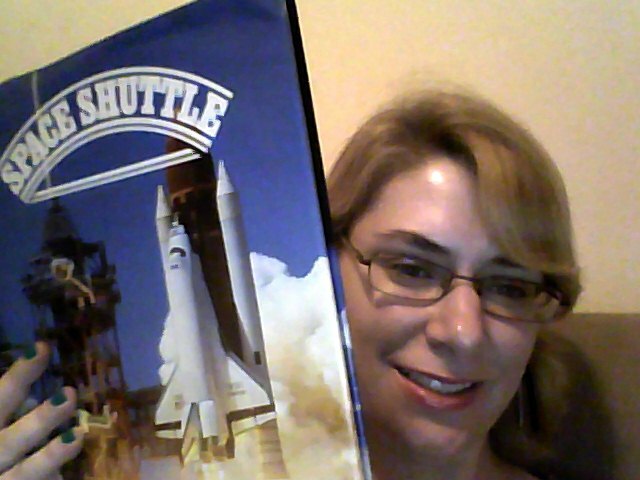 Space Shuttle is now out of print, but can be found floating around on Amazon.com at low prices. On the left, Space Shuttle (1984) by Robin Kerrod. On the right, smug-faced me.